The Pitaka Aramid MagCase had been my case of choice for the last three iPhone versions as well as for the Samsung Note 8; it is the thinnest and lightest protective case I’ve ever tried. 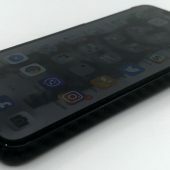 Days before I purchased my iPhone XS Max, I received all the new Pitaka cases for the iPhone XS, XR, and XS Max. 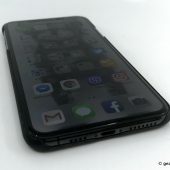 Receiving the three new iPhone cases, and being able to compare my iPhone X to the cases for the iPhone XS, XR, and XS Max, not only made me confident about wanting to upgrade to the XS Max, it gave me tangible proof that I was making the right decision. The iPhone XS Max case cradling the XR and XS cases; perfect size comparison. 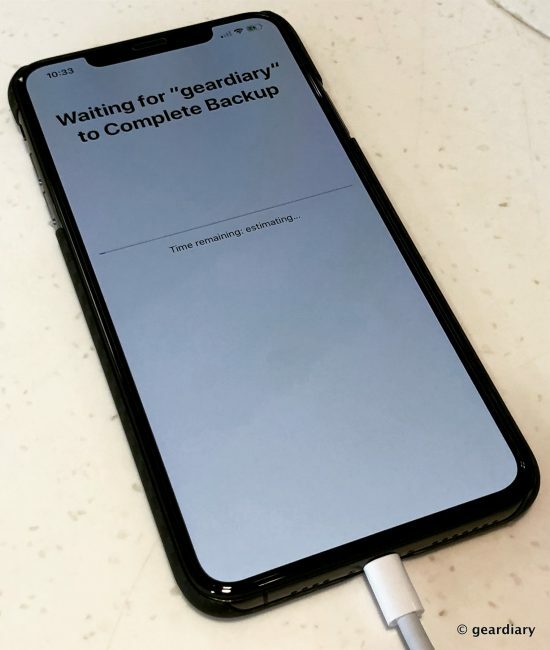 After walking into the AT&T store shortly after they opened on September 21st, I bought the second to the last space gray 256GB Max iPhone in the store. As I was waiting for the activation to go through, the salesman asked the usual questions of whether or not I wanted to purchase a case and screen protector for my phone. “I need a screen protector, but I’ve got the case covered,” I said, pulling the Pitaka box from my bag. “What case is that?” the salesman asked. He was shocked by how thin it was. I left the AT&T salesman with the box my Pitaka case had come in, just in case he decided to order one. Before leaving, I posted this picture on social media as my phone updated. A sharp-eyed commenter on Facebook noticed the case in the photo immediately and wanted to know what it was. That’s when I realized that as much as I talk up Pitaka’s Aramid MagCases, there are still plenty of people out there who don’t know about Pitaka and that you can get such a slim and protective case for your phone. Well, I’m here to tell you that it is not only possible, but the case is also reasonably priced at $49.99. Look, I’m a klutz; it is known. I learned a long time ago that if I was going to carry any phone without a case, then I was going to find some way to destroy it. Whether it was knocking my phone from my hand somehow and watching in horror as it fell 4 feet to the ground before skidding across the SFO floor (which is how I killed the 5S) or just randomly dropping it for no apparent reason, any phone I own is going to be put in precarious situations. The one thing that has kept my phones in near perfect condition for resale over the years has been the combination of good case and a screen protector. For the past three generations of iPhones, the combo I have consistently used has been a Pitaka Aramid MagCase and an edge-to-edge glass screen protector. There is easy access to the volume buttons and mute switch. The open bottom means you can use it with the OEM or any aftermarket cable. 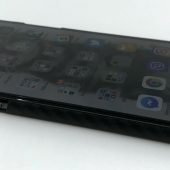 No, the Pitaka case probably isn’t going to keep your phone from breaking if someone drives over it or if you hurl it from a second-story balcony, but it absolutely will protect your phone if it suffers from waist height drops onto a hard surface. That has been my personal experience, and it has happened enough times that I feel confident saying that if this case can protect my phones, it will protect yours, too. 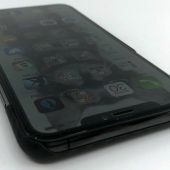 The magic combination is a Pitaka Aramid MagCase with an edge-to-edge screen protector; it’s the closest thing I’ve found to bulletproof protection for my phone. 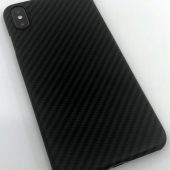 Pitaka cases look like they are made of carbon fiber, but they are actually composed of Aramid, “a high-tech luxury material for body armor, aerospace, supercars.” Aramid does not in any way interfere with cellular signals, WiFi, GPS, or wireless charging on any brand’s wireless charger. 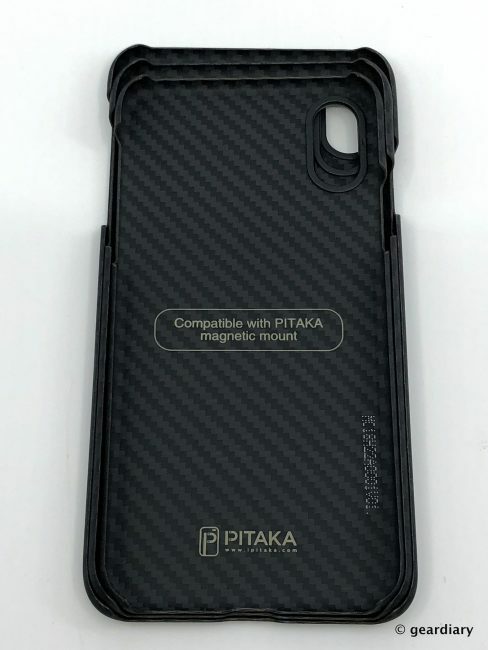 Best of all, there are thin metal plates set in the back of the case so that it will play well with Pitaka’s magnetic charging docks and accessories as well as any other brand’s magnetic mounts. The Aramid is scratch resistant and it has a “grippy but non-slippy coating.” The Pitaka MagCase delivers the ‘closest to naked’ protection I want for a phone that is otherwise thin, light, and svelte. Putting a Pitaka case on your phone means that you can still appreciate the lightness and thinness of your device without it being swallowed whole in a massive rubber box. I only wish that Pitaka made their MagCases for all brands and models, but at least they are covering some of the more popular ones — iPhones, Samsung Galaxy devices, and Google Pixels. If you are tired of covering your phone in a massive case that hides its sleekness, but you still are self-aware enough to know that your phone won’t survive without the protection a case affords, then you owe it to yourself to check out Pitaka. 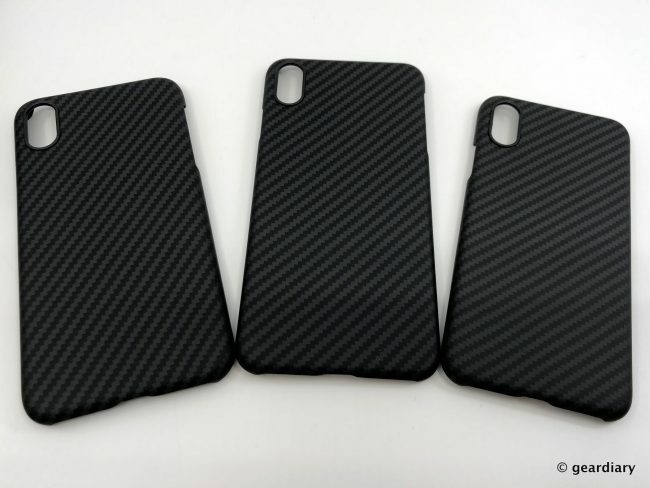 The PITAKA Aramid MagCases for the new iPhones retail for $49.99, and they are available directly from the manufacturer.